… that tastes a little like cookie dough. Ok, a lot like cookie dough. Every time I use this on my face I dip my finger in it and eat a glob. Needless to say there isn’t a lot of exfoliating going on when I’m doing a round of Whole30. Too tempting. Or I’d forget and eat some anyway. It’s a terrible habit. However, I love that I can make homemade body scrub for a fraction of the price of store-bought and find everything I need at the grocery store. Plus it tastes like cookie dough. Pfft. What brand can claim that? If you let it go too long, the friction will warm the coconut oil which will cause the whole thing to separate. A lot of commercial body srubs are separated like this. This will also happen if you keep the scrub in your shower all the time. It’s still OK to use, though. Just mix it around with your finger before you use it. And lick it off your finger. Oh gosh. I should really start using olive oil instead. Or turn it into a salt scrub. Anyway. I like the creamy look better. I made these to put in some gift baskets for my girls’ teachers for an end of the year teacher gift. They LOVED it! I found the jars at Ross. They were $5 for a 3-pack. Super cute, right? Then I tied a simple tag on there with some string. 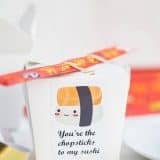 These are great little inexpensive gifts you can give to teachers, friends, new moms, or to use as stocking stuffers or simply thank you gifts! I’ve been using this as a face and body scrub for a few weeks, and I LOVE it. I’m already a huge fan of coconut oil and I love how it makes my skin feel. I’ve also been using straight coconut oil as a facial and body moisturizer for a couple of months, and I can tell a big difference in my complexion, which is more uniform than it’s been since I was a kid. I don’t even wear foundation any more — just a few spots of concealer. The scrub does a great job exfoliating and the oil leaves my skin feeling super-hydrated and soft. By the way, if you haven’t read The Coconut Oil Miracle. You need to. It’s such an informative and eye-opening book! I’m now convinced that coconut oil will make me immortal. In an attempt to make my hygiene products more natural, we’ve been using diluted castile soap for body wash and I’ve been using the Oil-Cleansing Method I learned about on The Art of Simple (formerly Simple Mom) for nearly three years now. I haven’t ventured into the “no-poo” movement, but I do try to find shampoos that are free of most of the usual suspects (parabens, sulfates, etc.) I’ve also switched to mostly mineral make-up. Do you make your own bath and body products? Please share! 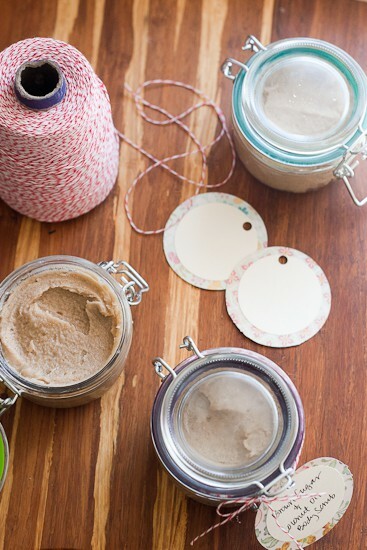 Make your own body scrub at home with things you already have in the pantry! 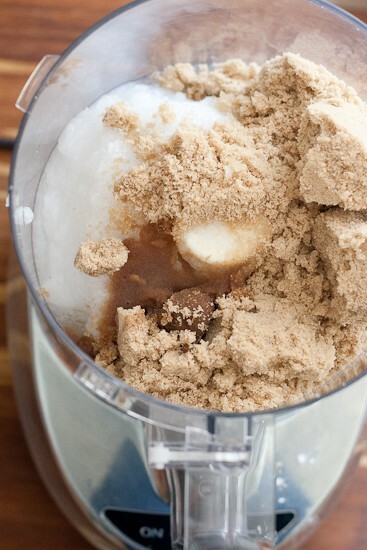 Whip together the sugar, oil, and any extra additions until the mixture looks creamy and resembles loose cookie dough. You may use a food processor, but don't let it process too long or the coconut oil will melt and the mixture will separate. If this happens, just put it in the freezer for a few minutes to solidify and mix again. Store in an airtight container. Lasts for weeks. Maybe months. If it's stored in the shower, you may have the same problem with separation as the coconut oil warms. Just stir it around with your finger before using. Disclosure: This post contains an Amazon affiliate link. Purchases made by using these links doesn’t cost you any extra and helps to keep my content free. What a fun idea! I’ll have to try this one out. It’s always nice to have a few gifts on hand during the holidays and for those just in case gifts. You’re so welcome! And I agree. There are always “just in case” gifts that end up being used! Do you do this before or after washing? Did not know if still get benefit of the softer skin if using soap after…or just rinse scrub off with warm water. Actually I add a little scrub while I still have face wash on my face and mix them together. Sometimes I use this in place of face wash and it works well, too! Do you have problems with the coconut oil solidifying? I tried another recipe with white sugar and coconut oil and it said to microwave the coconut oil first before mixing. I used it right away and it was great but after it sat it solidified and now even though I keep it in the shower, it remains a solid. I’ve never had the oil go completely hard. I’m surprised yours stays solid even when it’s in the shower! Mine goes completely runny! As long as you can stir it around with your finger and stays sort of creamy it shouldn’t be a big deal. I have had the same thing happen with the mixture solidifying. I gave it as gifts, sort of embarrassing! How strange! I’ve never had it solidify to the point where I couldn’t stir it with my finger. Maybe my house is really warm? I think that it depends on the oil. It is important to make sure to use pure coconut oil. Also, the container may not be airtight or too much sugar was used. I stumbled across this while looking for another recipe on your site. I had forgotten about this and I think I’ll make some tonight. It’s perfect timing as my hands are taking a beating lately from weight lifting (callouses). Love the line about licking your finger :) ha, pretty sure I’ll be doing the same and thinking of cookie dough every time I use this. 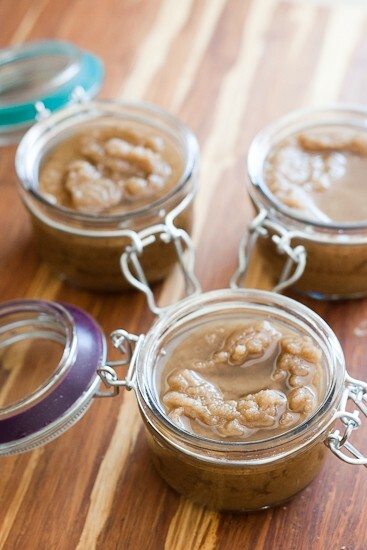 So I never leave comments on these sorts of articles, but I just made this sugar scrub. Goodness gracious, I now know the miseries of having something so delicious that you have to resist the consumption of it. I added a wee bit “too much” vanilla (if such a thing is possible) and just compensated with more brown sugar. I’m so excited to use it because I’ve already licked the spoon clean and I’m dying to use it for the real reason I made it. Thanks so much. Can I use it for baking after mixed and sitting for a month? I have no idea. I’ve never done that. What essential oil did you add? (If any.) I know it says optional, but I was just curious! Thank you! I use Doterra and Youngevity oils. Doterra is the purest of all the essential oils out there! what are the ingredient amounts? I was wondering how long you keep it stored? And in a cool dry place right? You can store it for several months, most likely. A cool place is recommended so the oil doesn’t melt, but even if it does, just stir it around with your finger before you use it. Never microwave your EO’S gals. Or your oils. You kill off any benefits of them by doing so. Also, by adding glycerin the scrub will last longer if stored in a cool dark location. Ladies, our facial skin is very, very sensitive. By using a sugar scrub on your face you risk “tearing” your skin up. I know it appears to leave a “glow” but you would be better served by using an EO mix that moisturizes your skin versus ripping up the tender flesh of your beautiful faces. Be Blessed Ladies! Yum! Sounds like a great addition! So glad you have enjoyed it. Sounds yummy! Can’t wait to try with different essential oils. hi! i’m not the OP but from everything i’ve read, as long as it’s unrefined coconut oil, that’s the best to use. i actually ordered mine off amazon and got a huge tub for a really awesome price. if you’re referring to essential oils – i heard young living is the best of the best, but they are pricey. i will say, this sugar scrub has been my LIFE SAVER. i’ve never had a better shave than when i use this. my legs stay smooth for 2-3 days. I actually make my own shampoo using coconut milk, liquid castille soap, and essential oils. I’ve been using it now for almost a year, and the only problem I’ve found is that it dries out my ends a bit. But a quick mask of coconut oil or even coconut oil and honey once or twice a week will fix that up, no problem. I wasn’t quite brave enough to do the ‘no poo’ method, either, so I found a ‘sorta poo’ recipe online. I tried it, and I love it. Never looked back. I also make my own liquid castille soap by grating a bar of solid castille soap and melting it in 4 cups of boiling water. It’s cheaper to buy the bars of soap than the liquid, and it only takes a few minutes to grate and melt. 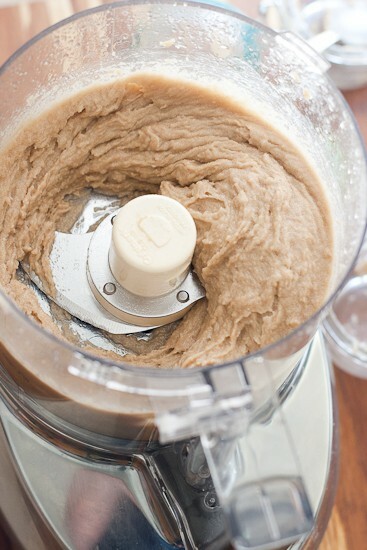 Can you use a mixer to mix it up or just a food processor? How did you get it creamy? I’m trying it now and mine just looks like wet brown sugar. Any pointers? Hi Samantha, Is your coconut oil fairly firm? The softer it is, the quicker it will melt and not stay creamy. You can put it in the fridge for a while to firm up and stir it again to make it creamy. Samantha I found that adding almond oil to the mix, a little less coconut oil. Gives the creamy effect. Thanks for the great idea, I’m making some for christmas gifts! I am having trouble, when i add the ingredients together the mixture is not creamy like the picture but more like oily brown sugar. It looks like your picture where the mixture was in the food processor too long only i left mine in for only 1 minute. Any idea why this is happening? Hi Jessica! Is your coconut pretty firm? The softer it is, the quicker it will melt. If your house/kitchen is very warm, put the oil in the fridge for a while to firm up before blending. If you’ve already blended all of it, put that mixture in the fridge and then blend it again and it should be creamy. A friend gave me this sugar scrub for Christmas and it is so good that it is almost gone. She was so gracious that provided link for me to make more. Nice recipes, easy and inexpensive to make. Now my family get together to make natural beauty and cleaning products. Thanks a lot. 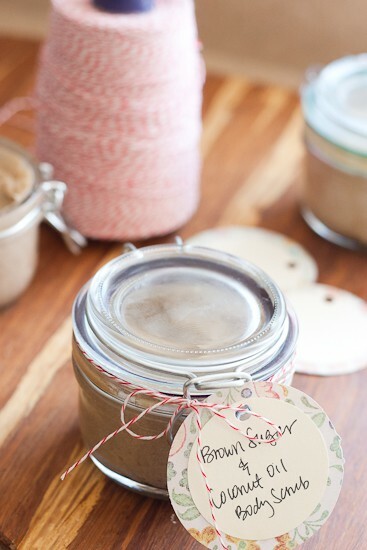 I’m currently hooked on making sugar scrubs! This is a great and easy recipe. Trying it now! Just a recommendation… Please, please don’t use your fingers to mix! I know it’s hard to resist the temptation! Use a wooden spoon or those popsicle sticks. And don’t store or leave near water. It’s important to not allow any water in the mix because mold can grow very quickly. That’s also the reason why I suggest something else to scoop up the scrub. I store mine away from the bathroom and kitchen sink and when I’m ready to use it, I scoop some out and put it in a different cup or something I can carry with me into the shower. Thanks for sharing your recipe! Hi. . Saw your recipe today and couldn’t wait to try it out. First made it now and it smells so nice I can’t wait to try it on my skin tonight. I will pass on the finger locking though because I added in some tea tree drops and am not sure if that’s yummy?. Thanx a bunch for the recipe ? OMG!!!! I made this last night and it was WONDERFUL!!!!! <3!!! I hate I EVER spent the kind of money I have on these products, and I NEVER will again!!! LOVE THIS D. Y. I Idea!!! Can you mix sugar and/or coconut oil with Olay body wash? I was wondering if you have ever used this in the shower, and if so does it clog up your drain beings how it has coconut oil in it? Can i use regular sugar or i have to use brown sugar ? You can use regular sugar. I love your scrub recipe. It will be my next effort. I already make a luxurious face and body lotion along the same lines. So much less expensive and much more luxurious. You might like it. I use equal amounts of coconut oil and Shea butter and 1 or two pin pricked vitamin e from capsules and essential oils of your choice. I mix lavender, orange and jasmine. Smells great! Using a hand mixer I whip the Shea butter and coconut oil for a minute or two then add the E and then whip until i have fluffy , fluffy peaks like Cool Whip or whipped creme. Adding drops of oil along the way until I love the smell because Shea butter is very smelly! 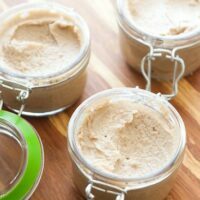 Total whipping time of about 8-10 minutes for 1 cup of Shea butter and coconut oil. Each. Less time for less qty. More time for larger qty. if you over whip add more. If it is too hot out and melts I put mine in the fridge and then next day leave it out after that and it is just like butter. So far it has been a big hit for gifts. A stand mixer or hand mixer would be better than a blender because of its thickness. What all can you use this scrub for ? So I just made this today, but the way the physical aspect of it came out it was more supple and soft than gritty like regular scrubs. I did some research to see if scrubs were made both ways, gritty and more wet like but I wasn’t really sure, still. I mean I think it could be both. I was going to post it on etsy and start an etsy shop but etsy is requiring I put in all this mumbo jumbo I dont know how to do and my parents are asleep so I can’t ask anyone right now the hard shipping and handling questions ugh. And I feel awful about the scrub because I’m trying to start a cosmetics shop on etsy just for fun and I’m mostly going to focus on pigments and eyeshadows and palettes and lipsticks and other makeup. But I was trying to get at least one thing up there and I feel like that failed. Also the scrub feels greasy because of the coconut oil I don’t know if thats how it’s supposed to feel maybe it would have a different reaction with hot water from a shower? I don’t know but I may just give the scrub to my mom. It has an odd scent I put an essentail oil in and called it Lavender. It smells like it. It has coconut scent, lavender scent, and vanilla brown sugar scent it has a longg title. 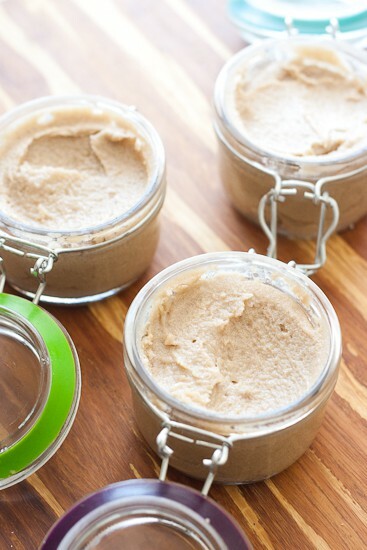 Lavender and Coconut Brown Sugar scrub. But I figure no one will buy it it’s not professional looking enough lol and the texture is awful. Hi! I’m not sure what exactly you’re asking or how I should respond. Scrubs come in all sorts of textures and this one completely depends on the type of sugar you use. Brown sugar will be more gritty than fine white sugar. And the oil makes a difference, too, as well as the temperature it is stored. If you store it in the shower it will separate. Homemade scrub will do that. It doesn’t contain additives or is blended the same way as commercially made scrub. Coconut oil does leave a slightly greasy residue on your skin for a few minutes, and I actually like how it feels. Was this just a trial run to experiment on scrubs for your shop? Best of luck to you. Is it possible that you can use cooking oil as a substitute. Vegetable oil to be specific. Sure, you could use vegetable oil. The consistency would be different the the scrub would need to be stirred every time you use it because the liquid oil would make it separate. Great recipe I made it yesterday and I also use some and it is excellent. I used my food processor and I actually like the consistency that it gave me. Thank you. How long can is it good for? If I make it now will it be good for Christmas gifts?! This lasts for months! Go ahead and make them early. I made this to give as gifts too and it turned out solid as well after it cooled. This is an awesome idea. I personally thought that the scrub was a little bit too loose, or runny, for my personal liking. So to combat this I added about a half a cup of coffee grinds. This got it right to the consistency I liked and it smells amazing. Letting it chill in the container a bit and it will be right in my shower! Hi, just wondered how your scrub turned out with the coffee ground? I’ve been wanting to try making something with coffee but haven’t come across anything I like yet. Can I exfoliate then shave? I am going to make this as a Christmas present for my mum, but I’m just wondering how long this lasts for? Can I use white sugar instead of brown sugar?? Absolutely. You could also use salt.